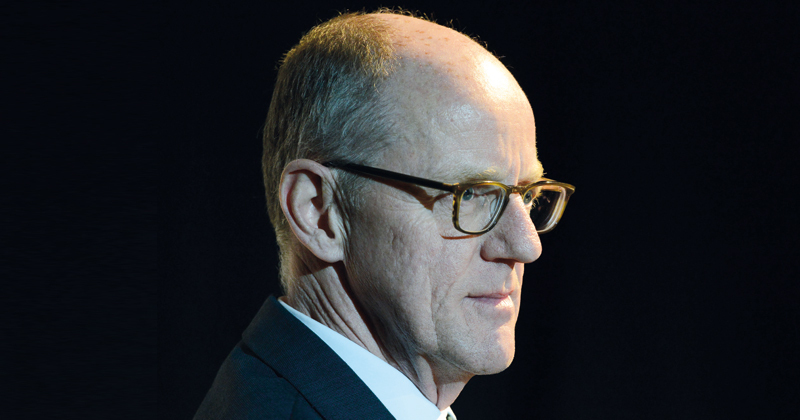 Schools minister Nick Gibb today dodged calls to clarify whether he backs controversial proposals made by the government’s cost-cutting advisers, including suggestions to replace experienced teachers with support staff on term-time contracts. Schools Week revealed last week that reports included recommendations to limit lunch portions for pupils to save money, as well as keeping money raised for charity and running three classes in a school dining room to save cash on supply spend. Gibb was challenged over the recommendations at the education select committee today. Gibb refused to address the specific question, and instead claimed the Schools Week investigation took the school resource management advisers (SMRA) recommendations “out of context”. He gave the example of national buying schemes for insurance, energy, and equipment, and also namechecked the financial planning tool developed by the Outwood Grange Academies Trust, which looks at the teachers and staff you need to deliver a particular curriculum. The schools minister went on to say: “What we’re trying to do, while also negotiating with the treasury to ensure we have the best possible deal for education, what we will also have to demonstrate to the treasury is that we are spending that money as effectively as possible. That’s something NHS also has to do for its 10-year plan. At a conference in November Agnew claimed that the advisers found £35 million of “essentially misdirected resources” at 72 schools and trusts, which amounted to a “colossal sum of money”. He has since extended the trial with £2.3 million extra funding to provide at least 160 advisers. While the government refused to release the reports from the trial to Schools Week, we saw about 20 from the schools and trusts that took part. Other reports revealed advice to cut curricula and slash the number of hours in a school week. “These findings read like a bad April Fool’s Day joke. They make a mockery of Lord Agnew’s claim that he can root out waste in schools,” said Geoff Barton, the general secretary of the Association of School and College Leaders (ASCL), last week. “The proposals do not identify ‘waste’, but instead range from cutting educational provision to desperate ideas that would deliver marginal gains, such as smaller lunch portions, and the morally dubious suggestion of diverting money intended for charity. Your mate Chris Grayling wastes £35million by getting sued by eurotunnel by his poor planning of only offering emergency capacity to the ferry operators. That is a ‘colossal waste of money’ . A joke . This whole project has been packaged terribly. Most school and academy leaders would welcome help with efficiency and value drives . But . The confrontational ‘I bet you a bottle of champagne’ soundbite from Lord Agnew was poorly conceived and executed. What a missed opportunity.